3 in 1 RGB / CCT / DIM LED WIFI Controllers for Smartphones and Alexa, 9-24VDC 5A/CH NEW! The 3 in 1 Wifi Controller is an affordable RGB, temp-control, or single color device loaded with functionality. After downloading the 'OPEN-LIT' smartphone app and creating a username and password you can pair unlimited WiFi devices over 10 zones. The pairing process is simple and effortless. Please note this controller requires 2.4G network connection and will not connect over 5G. A small button on top of the controller lets you set the control type to RGB, Temperature adjustable, or single color dimming. In the app there are loads of features to control the output of your lights including 4 DIY modes choosing 6 color choices when in RGB control. You can even control the controller remotely while not on the WiFi network. This controller is also compatible with Amazon Echo and can be controlled through voice commands to Alexa. The setup is easy and the devices can be powered on/off, dimmed, set to a warmer or cooler temperature (temp adjust), or set to a specific color green, pink, blue, etc (RGB). 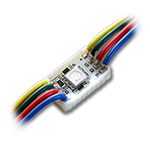 Power output of 5 amps x 3 channels allows for a maximum of 15 amps of 9-24VDC lighting to be powered using this controller, see specifications for more information. Pairing Distance 150ft Must be 2.4G Network! This controller requires 2.4GHz network connection and will not connect over 5GHz. If you are having issues connecting through the app, login to your wireless router and be sure that 2.4GHz is enabled. This is a one of a kind UL listed hybrid LED Strip Light that allows you to choose your color temperature between white and warm white using proper controls. This specialized ribbon has six LED chips every 2 inches alternating from white to warm white on every other chip, making it comparable to Ribbon Star Max when both temperatures are being used. 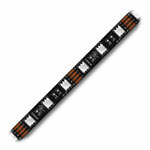 Control this LED Strip using two LED dimmers or by using one of our specialized color temperature controllers. 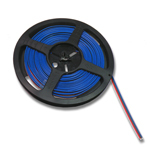 12VDC, 2.92 Watts per foot, 48W per 5 meter roll. Cut and connect this strip every 2 inches for amazing temperature adjustable light in any application. 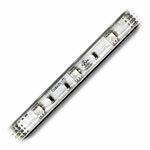 This strip light is UL Listed for class 2 low voltage luminaries and fixtures, RoHS and CE approved. The UL Listed Ribbon Star Max LED Ribbon is a perfect solution for backlight and ambient light applications. This 118" (3 meters, approximately 10 Feet) ribbon can be cut every one inch and has many quick connection options for easy connection. Ribbon comes with 3M™ 200MP mounting tape on the back, for the best long-term mounting solution. Six (6) SMD LEDs per two inches, 2.92W per foot of power required for this strip of light. 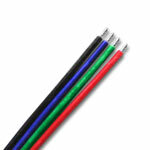 Can be used for coves lighting, toe kicks, under cabinet, backlighting, crown molding and many more applications. 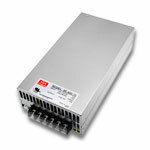 Requires a 12VDC Constant Voltage power supply, 6500K color tempurature. Comes with two quick connectors. 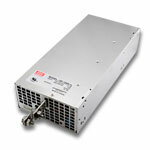 UL Listed for class 2 low voltage luminaries and fixtures, RoHS and CE approved.